In addition to her pursuit of the fine arts, Dana's interest in icon painting has taken her to several Russian monasteries to learn the methods and techniques directly from iconographers and monks. She has also spent an extended period studying traditional icon pigment making with one of the most renowned icon restorers in Krakow, Poland. Other interests include literature and jewellery making. She speaks several languages, is an avid traveller and has journeyed extensively over the past 35 years. Dana likes to visit unusual destinations such as Borneo, Papua New Guinea, Greenland, Lapland, Zambia, Bolivia, Mongolia, Manchuria, Bhutan, Yap, Albania, Tibet, the Faroe Islands and many other far-flung places. After completing her B.A. (UNSW) and her Diploma in Fine Arts, Dana has travelled extensively and has spent extended periods in studios in Paris, Florence, Krakow (Poland) and other places. Her travels are a great source of inspiration for her work. Her paintings have been exhibited in the Salon des Refusés, many times finalist in The Portia Geach Portrait Awards, and in various group and solo exhibitions. Her times in Paris resulted in the 2012 exhibition Paris Rooftops. Dana likes to work in all mediums and is very interested in figurative work. 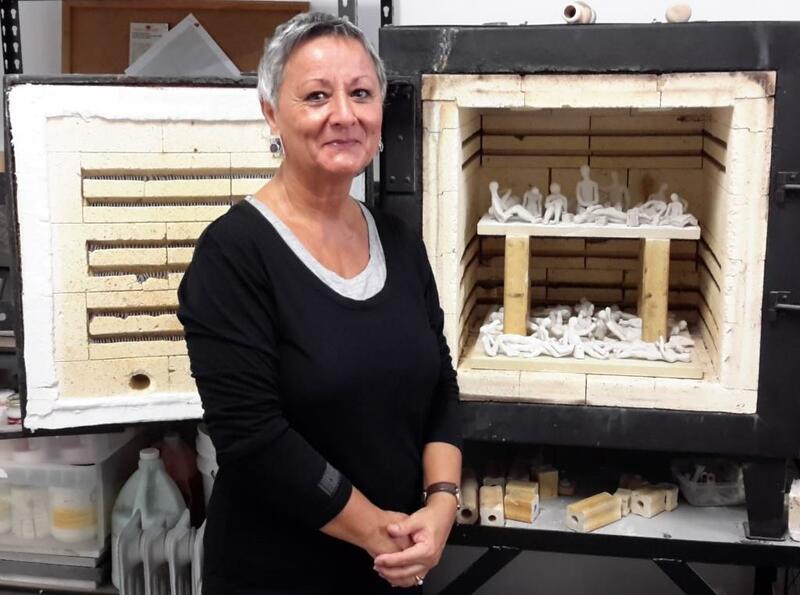 A chance introduction to clay in 2014 gave her opportunity to create sculptural and functional objects, allowing her to incorporate her years of painting knowledge into 3-dimensional art. Dana is very interested in sculptural, functional and decorative forms and likes to experiment with different clays and glazes. She enjoys the process of carving and altering hand-built and thrown forms.